Queen Sugar. Photo: Skip Bolen/Warner Bros.
“We’re all doing stuff folks said we couldn’t do,” said journalist and activist Nova Bordelon (Rutina Wesley) in season two of Queen Sugar. Queen Sugar is both excellent and beloved because it really sees people, rather than being content just to show them. Entrusting its stories to a multicultural crew of writers and an all-woman lineup of directors, the series has a unique pace and tone, intriguingly attuned to the sticky, laid-back vibe of greater New Orleans yet never allowing its vision of a postindustrial new South to overwhelm the family dynamics and the emphasis on a black perspective. The show literalizes the idea of approaching the family drama from a fresh angle by shooting many of its conversations in surprising ways, often tracking characters’ movements through lovingly designed homes and apartments so that the power dynamics become obvious from their positions in the frame, and placing people’s heads at the edges of the frame line peering out (also known as “short siding”), so that they seem to be looking past, or through, each other even when they’re desperately trying to connect. The stories are just as fresh. The scripts deal with African-American trauma at the hands of police and the prison system, particularly in the stories of Nova, who writes and speaks about mass incarceration and promotes a community bail fund; Ralph Angel, an ex-convict struggling to overcome his past and tamp down his machismo for the greater good of his family; Darla (Bianca Lawson), a recovering drug addict trying to reenter society and stay clean; and Ralph Angel’s nephew Micah West (Nicholas L. Ashe), the prep-schooled son of Queen Sugar Mill CEO and former NBA wife Charley Bordelon West (Dawn Lyen Gardner), who was terrorized during a traffic stop and briefly jailed, and is still dealing with the emotional aftermath. Race mixing, racial tension, colorism, and the legacies of slavery and Jim Crow all come into play both in the wider world and within the confines of the Bordelon family. Social class plays a role, too: Charley, Nova, and Ralph Angel are respectively upper, middle, and lower class, and often bring their perspectives and blind spots into family arguments. “What is wrong with black success looking like white success?” Charley asked last season, a question that the show refused to treat as rhetorical even though she clearly meant it that way. 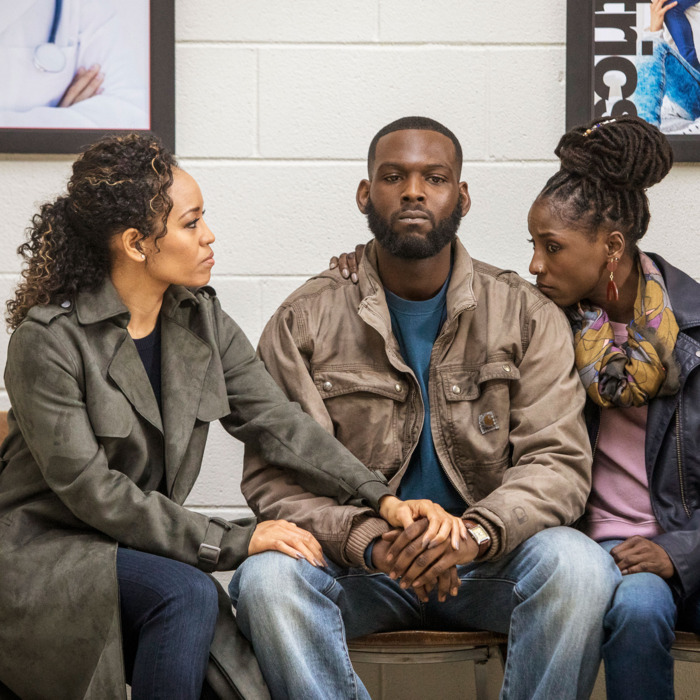 As Queen Sugar heads into season three with a two-part premiere airing May 29 and 30, the series picks up plot threads left hanging last year, including the prospective sale of the mill and the resolution of Ralph Angel and Darla’s relationship, which was thrown into question when Ralph Angel became convinced that his son, Blue (Ethan Hutchison), wasn’t really his own. It’s best not to read too much about the new season in advance, because Queen Sugar springs a few doozies right out of the gate. Rest assured that the series never sacrifices emotional realism for the pop of a soap-opera twist, even when it’s giving beloved Aunt Violet (Tina Lifford) a lupus diagnosis, or gifting her man, the former oil-rig worker Hollywood (Omar J. Dorsey), with a settlement large enough to turn them into financial power players. There’s a unifying beauty, a redemptive, baseline pleasure in life itself, that comes through no matter who’s onscreen. You can sense it in the honeyed sunlight streaming through windows, the lovingly composed images of the Bordelons tending their properties, and the unexpected closeups framed to evoke a haiku-like sense of wonder (such as the many images of clasped hands, or the mosaic-fragmented shots of Charley’s face when an aggressive journalist fractures her sense of self). “May your life not be ordinary,” Nova says, blessing a baby, “but filled with flavor and substance.” Here, too, the show describes itself.